Sodium alginate may help improve weight loss when combined with a reduced-calorie diet, according to a study published in the "American Journal of Clinical Nutrition" in 2012. This supplement made from seaweed is also included in some antacids because the gel it forms can help protect your esophagus from stomach acid. Speak with your doctor before taking this supplement, however, as it may not be safe for everyone. The side effects of sodium alginate tend to be gastrointestinal in nature and include bloating, diarrhea and nausea. It can also make you feel less hungry, which is why it might be helpful for weight loss. Sodium alginate forms a gel when you mix it with water, and this gel takes up room in your stomach -- just as a meal would. When you aren't feeling hungry, it's easier to cut calories. Don't take sodium alginate at the same time as other antacid medications. 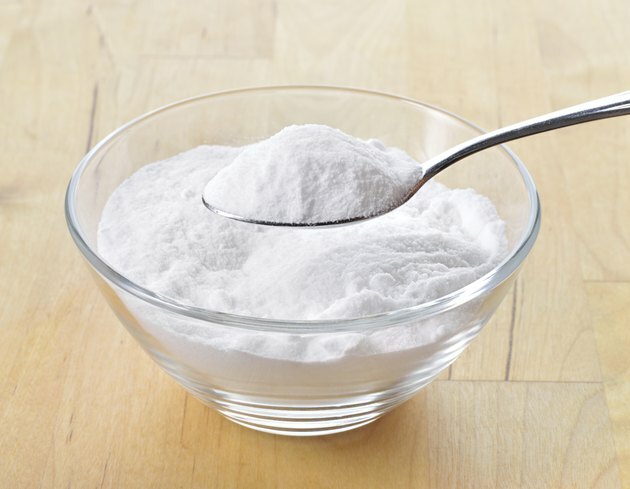 Sodium alginate may interact with certain medications, including digoxin, levothyroxine, certain antibiotics, iron supplements and certain osteoporosis prevention medications. Depending on the medication, you'll need to take it from one to six hours earlier or later than you take sodium alginate to avoid these interactions. The U.S. Food and Drug Administration has determined that sodium alginate is generally regarded as safe in the amounts typically consumed. But some types of alginates, when consumed in large amounts of 26 times more than the average alginate intake, appear to increase maternal mortality, so pregnant women may want to avoid sodium alginate. If your esophagus is inflamed, you should also avoid using sodium alginate, according to HealthyCanada.com. Sodium alginate is high in sodium, with one dose potentially containing more than a gram of sodium. Those on low-sodium diets or with high blood pressure should avoid this supplement. Minimize your intake of sodium from other sources to decrease your risk for high blood pressure and heart attack if you take sodium alginate. The recommended daily limit for sodium is 2.3 grams for healthy people and 1.5 grams for people at increased risk for high blood pressure or heart disease.